Limestone Coast grape growers and winemakers converged at Coonawarra Hall for morning tea, prior to departing by bus with footwear biosecurity measures to visit Coonawarra’s trial site today to see what the eight rootstocks and own rooted clone CW44 Cabernet Sauvignon were looking like before they are harvested. 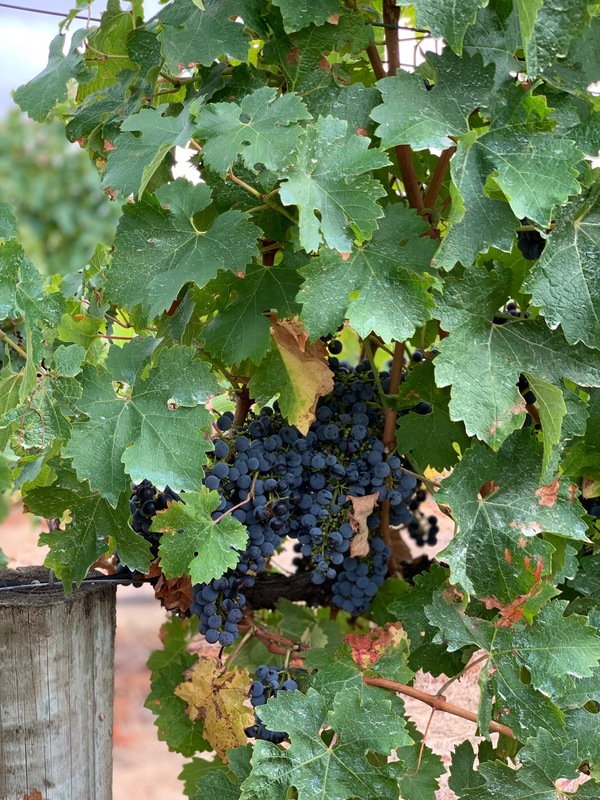 It was great to see so many come out of the vineyards and wineries during Vintage to peruse and taste the fruit and talk to Vine Health Australia’s CEO, Inca Pearce and Technical Manager, Suzanne McLoughlin. Those in attendance have contributed their observations to inform the findings of the trial. The trial was initiated by Vinehealth Australia and is a partnership between Wynns Coonawarra Estate, Coonawarra Vignerons and Limestone Coast Grape and Wine Council in response to industry concerns about rootstock use and impacts on vine growth and wine quality and growing interest in the use of rootstocks in Australian viticulture. 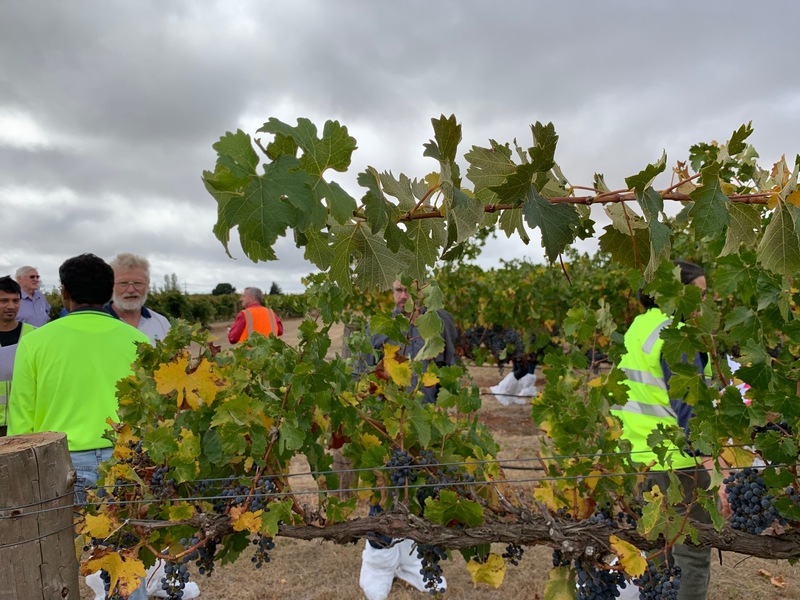 It is the only rootstock trial in South Australia. The trial was designed and established in 2009 so that wines can be made from each rootstock to provide real information about the effects of rootstock on wine attributes subsequently reflecting the desired quality and style of the region compared to own roots. We are on target this year to make wines and look forward to sharing more updates, including when wines are ready for tasting as the project progresses.